Each and every Watsuwan massage is custom-built to your needs. Book a massage now or look to see which massage with suit you best. We will help you find the right treatments for your personal pathway to ultimate wellness. This ancient full body therapy strives to promote wellness and vitality by helping the body return to a state of balance and harmony. It uses the hands, palms, elbows, knees and feet to loosen your tight muscles along with assisted yoga stretching to work along energy lines. It is a uniquely relaxing yet energizing and highly effective treatment. The Watsuwan Signature Massage is tailored specifically to your body by exploring a combination of techniques including Thai Yoga stretching, Swedish deep tissue massage, neuromuscular treatment, acupressure therapy and much more. This unique massage helps to pin point your body’s essential needs and custom-builds a massage to best achieve your personal optimum health. A must for flexibility, recovery, and restoration, this deep sports massage employs intense pressure techniques to target sore muscle groups. It can be used to warm up muscles prior to your workout and to flush out post-workout toxins. Make these sessions part of your training plan by coupling them with your workouts so you can recover faster. A must for any focused athlete. Reflexologists understand the feet as areas that mirror the body. Using the ancient practice to stretch, apply pressure, and move these extremities, the body begins can heal the corresponding parts of the body. 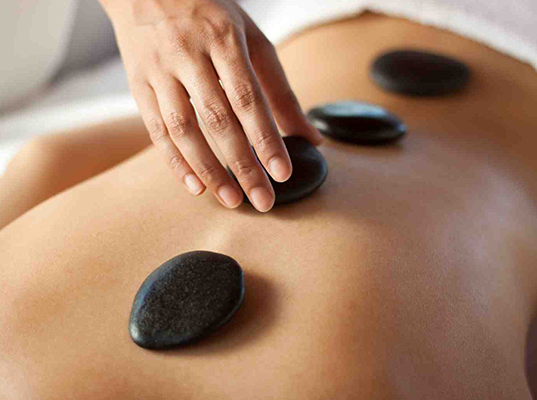 This massage can reduce pain and normalize body functions, especially in your body’s painful problem areas. Optimizing blood, lymph, and nerve flow, foot reflexology can minimize pain as well as muscle tension and facilitating the body’s own healing and detoxifying processes. Also known as Cranialsacral Therapy, the goal is to release compression in the head and neck to alleviate stress and pain. By restoring the natural position of the bones, it can decrease stress from chronic injuries as well as provide relief from migraines, headaches, neck and back pain, temporomandibular joint disorder (the inflammation of the joint that connects the lower jaw to the head), revitalize the brain and body, improve concentration and circulation, strengthen the hair roots and calm your mind.